A prequel to the Star Trek series that takes place primarily during the war between the Klingons and Star Fleet. We follow the Discovery during this war effort as its crew struggle to fullfill the role of both a science vessel and a ship of war. Having seen all 700+ episodes of Star Trek, I couldn’t help going into this with many preconceptions and expectations. So far, Discovery has met just about all the good ones and avoided all the bad ones. Even without the motif from the Original Series theme song, it feels unmistakably like Star Trek which, if it didn’t, would have made the series an almost immediate write off for me. The effects and cinematography are a big step up from previous series of Star Trek, more in line with what I would expect out of a Star Trek film but without all the unfortunate bluster that those are inevitably saddled with. I am really liking the look of Discovery so far, I just hope it doesn’t pull a Preacher on us. I’m not stranger to Star Trek having watched at least a few episodes of each series so far. In some cased every episode of some series. I like that Discovery has taken the visual cues from the new films will still staying true to the original intention of Star Trek. I still have mixed feelings about the revisions made to the Klingons. In some aspects it’s a very true to form for the warrior race. In other ways it’s really off the mark for me (the remodeled ships being a prominent example). So far I’m pretty on board with our lead character. This is the first time Star Trek has taken a more singular approach to character and I expect the series will continue to focus on Michael. Her mixed heritage gives Michael intriguing traits that play well with the other members of the cast. So far I am pretty happy with whats on offer. This will be my first proper exposure to a Star Trek TV show outside of little bits and piece of episodes here and there and various tribute episodes of other shows. It is clear that CBS has put a ton of a money into this project and it looks great. The facial prosthetics make things look real and all of the scenes in space look really good. All of the aesthetic stuff was great. 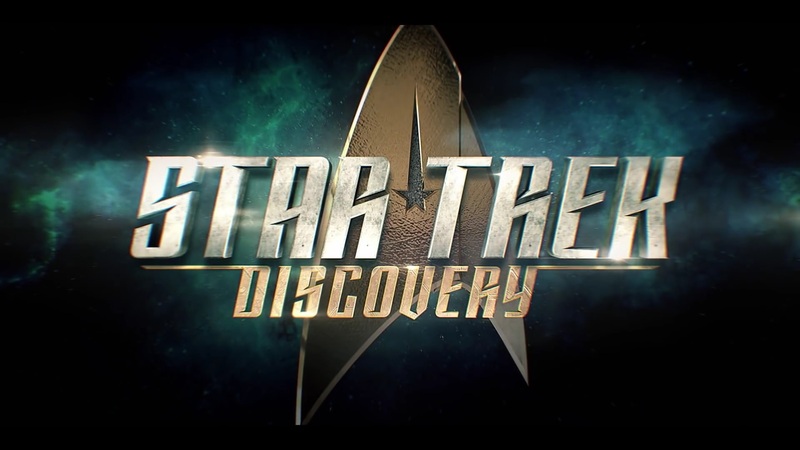 Despite my lack of experience, i think the show still feels like Star Trek though it is clear that this one has less of a broad scope in terms of Sci Fi concepts and philosophical and moral exploration. That is of course still an element but this far the focus is on this specific conflict and the characters involved with it and thus far i am intrigued as to how things play out. After watching this episode, I now wish I had partaken in these first two episodes at once because I feel I would have enjoyed this second one slightly more that way. Overall the episode was enjoyable but there were a few things which felt to be quite a stretch for the purpose of getting the plot where the series needs to be to start in earnest. Michael’s mutiny seemed forced, as did Michael and the captain boarding the Klingon ship, even ignoring that Michael had just escaped from the brig. As a long time watcher of Star Trek the space battle was fantastic to watch with modern visuals; I really hope the impending war brings battles on the scale of the latter parts of DS9. Now that Discovery has set the scene it is time to see what it really has to offer. I can safely say I am already pretty sold on this series. What a great kick off. We have the federation thrown into a war they were not expecting or prepared for. A devastating mutiny and maybe one of the best super villain moments I have seen in a long time. This episode firmly establishes the Klingons and their devastating determination for war. Michaels character flaws make her a dangerous element when it comes to the safety of the crew and this itself is a refreshing take for a main character. Sci Fi visual goodness is on display was well. I don’t think your find many people with complaints here. As a second part of the opening to the series I think this episode does a good job of setting the tone. There are a couple scenes that are used to show the cleverness of the characters and show off the technology of the universe. The visuals are really nice in this show and we get a pretty cool space battle. It reminds me a little bit of Battlestar Galactica but doesn’t reach the same bar despite the visual fidelity. This is not to say that Star Trek Discovery does it badly though as the visuals are quite striking. There isn’t too much else to say as we are still setting things up but i find the events to be quite compelling to watch if a bit standard these days but nothing really stands out to me as a fault thus far.